Congratulations, you have decided to explore your Custom Annual Communications Bookmark a bit further. In Baguio Philippines Easter Weaving, located near the edge of town, has a store and loom room. A variety of cloth and products can be purchased. Enjoy the Photos for a brief tour through the factory. Click Here for a slideshow! This is the place to visit for all ethnic handmade products. For more than 40 years, Aldevinco has become a landmark of the city. It showcases the rich culture and heritage of Mindanao through the abundant array of Batik products like bags, dusters, slippers, table cloths, textiles and indigenous musical instruments. 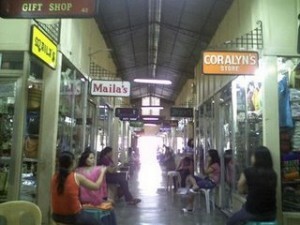 The place actually is a covered market with many small shops. Located at the heart of the city along C.M. Recto Avenue, across from the Marco Polo Hotel. The shopkeepers are friendly and very accommodating and have a variety of unique and beautiful handicrafts and the low prices. 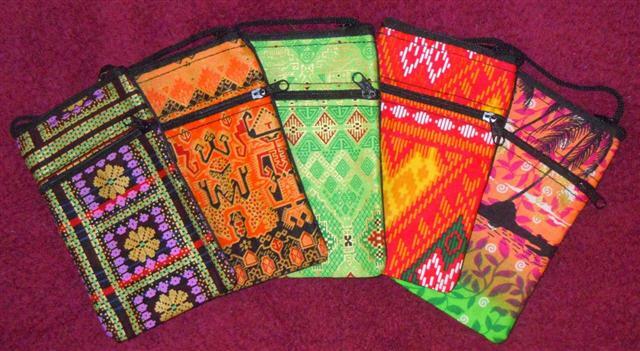 Annual Communications Sling Bags are an excellent example of Batik Handicrafts.